Ven. Omalpe Sobitha Thero condemns the decision taken by the Finance Minister Mangala Samaraweera on liquor. 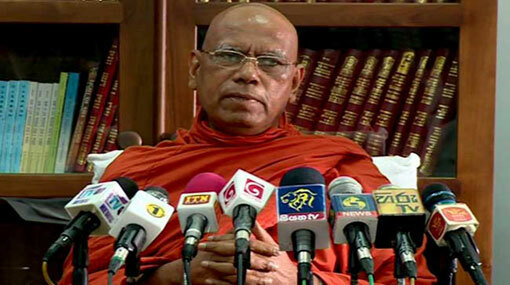 Sobitha Thero said that firm actions will be taken against the decision. Finance Ministry revoked the ban on selling liquor to females and employing females in places where liquor is manufactured or sold on January 10. Minister Samaraweera signed the Excise notification Gazette Extraordinary in this regard under the Excise Ordinance. Excise Notification No 666 of the Gazette Extraordinary had imposed bar on selling liquor to women and employing women in the liquor related fields.